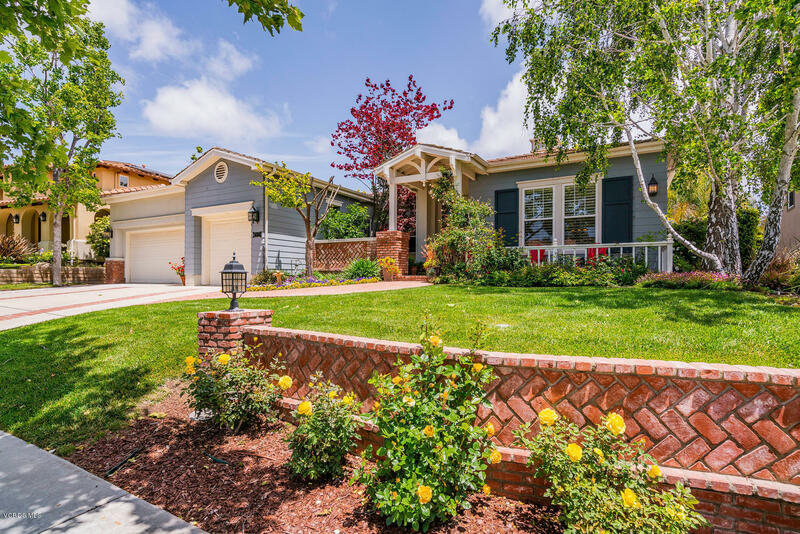 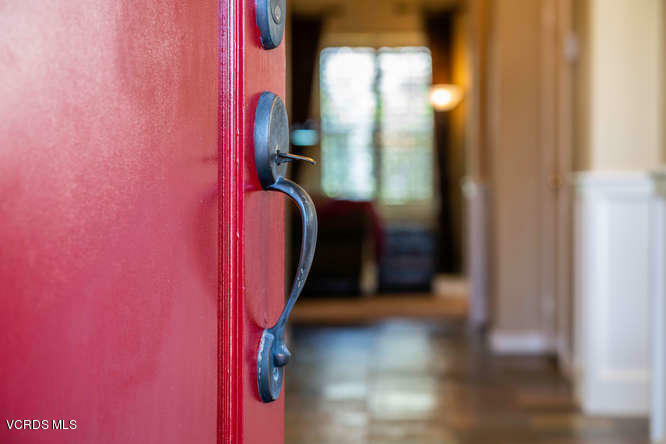 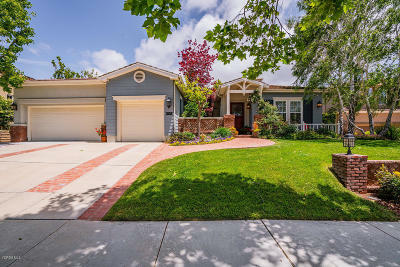 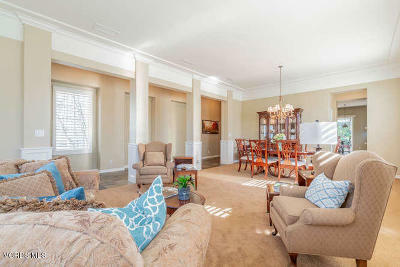 Charm, comfort, and style have come to Dos Vientos! 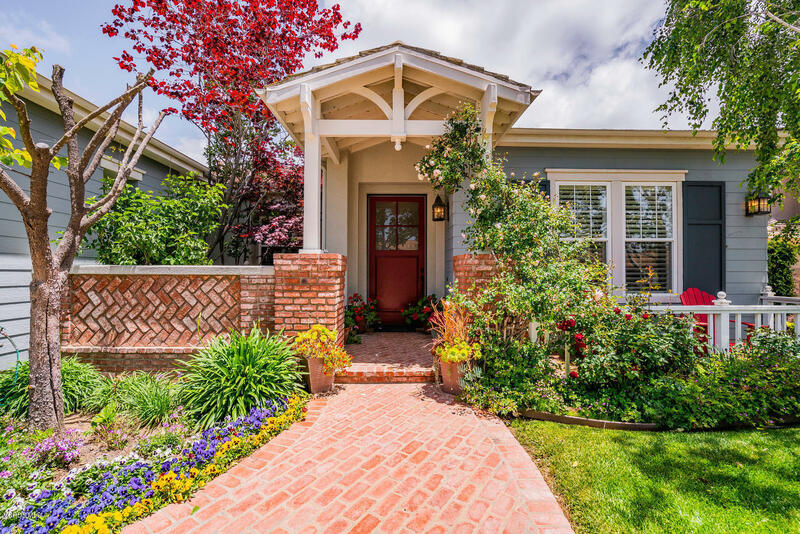 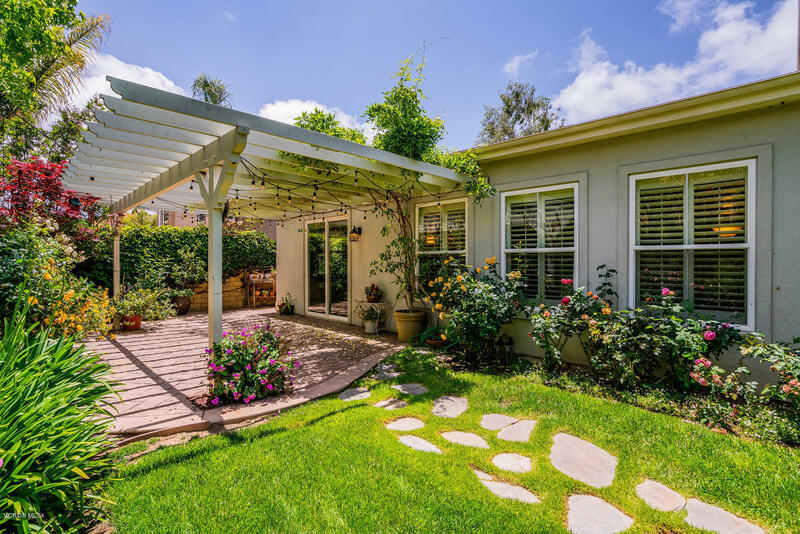 This beautiful single-story home is highly-upgraded and fashionable. 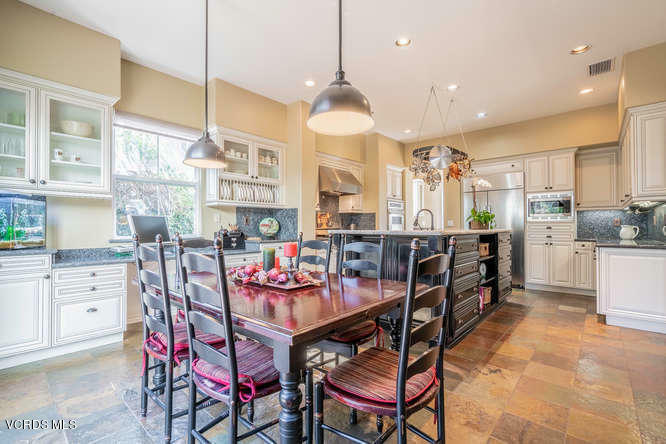 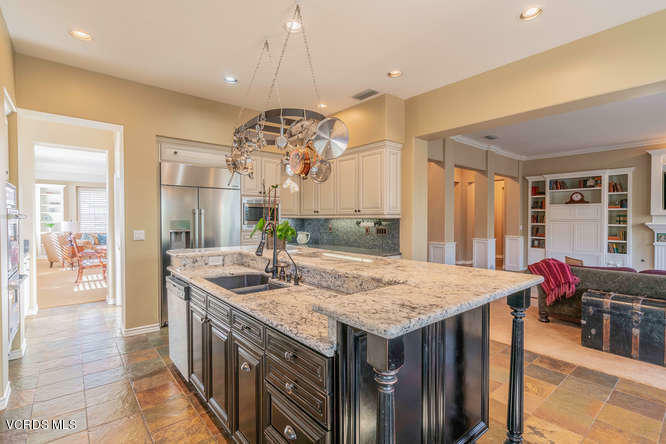 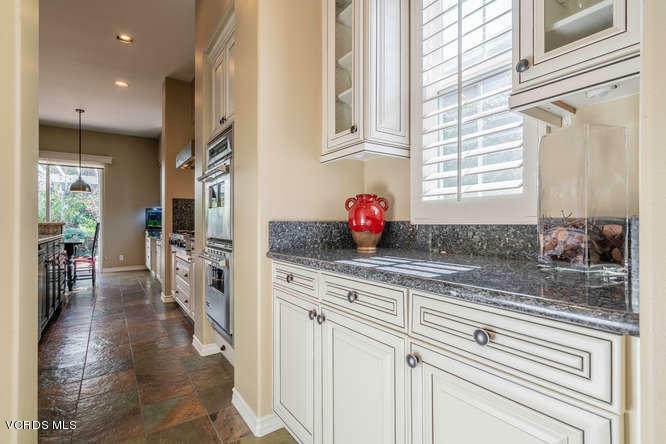 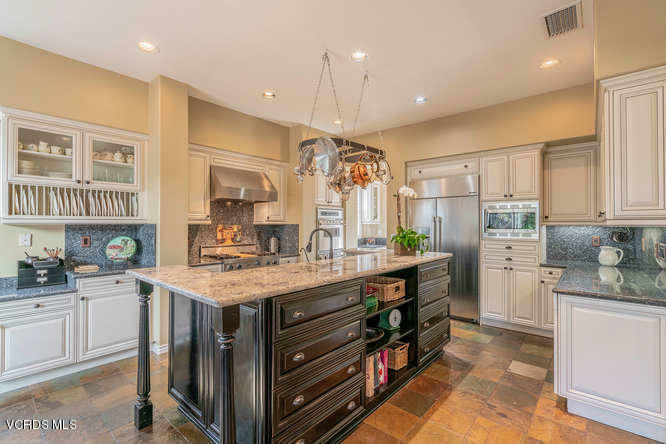 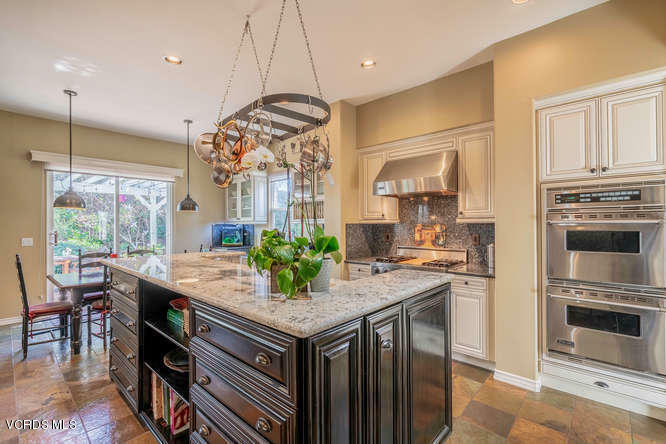 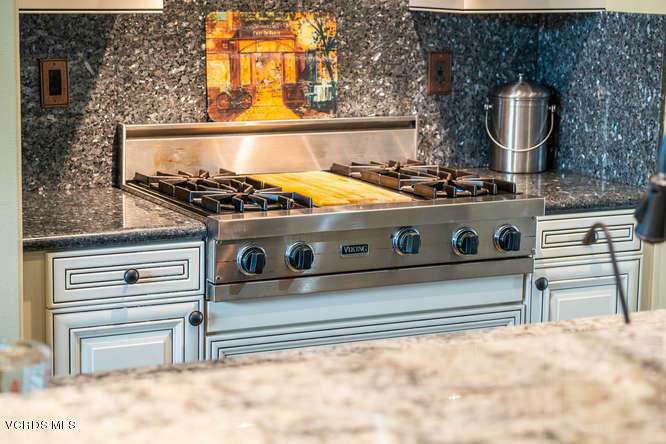 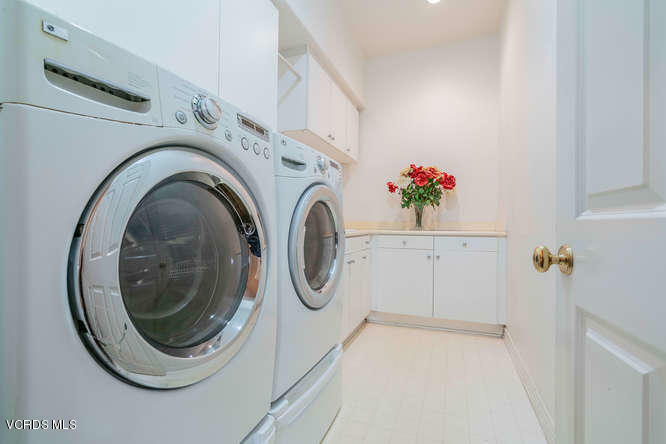 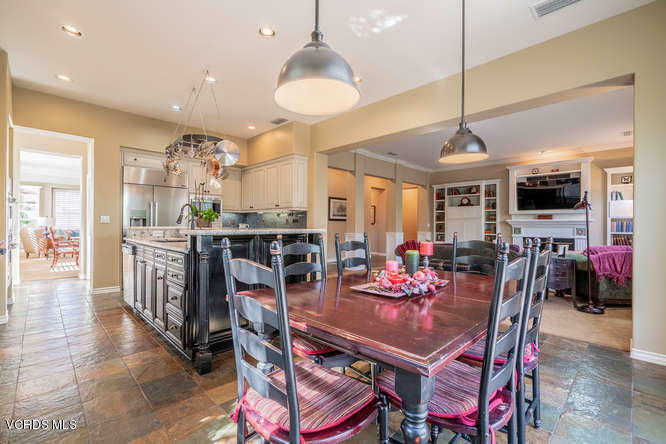 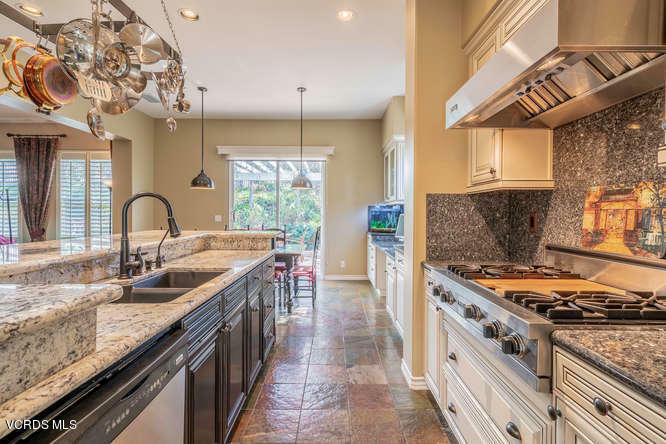 The kitchen has been recreated with custom cabinetry and countertops along with a Viking cooktop and double ovens, and a new stainless refrigerator. 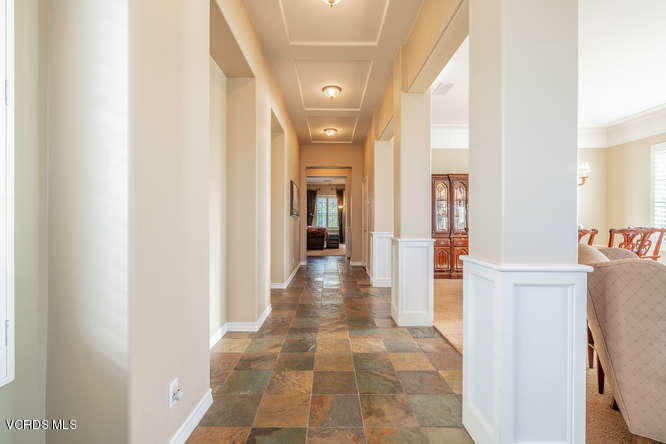 Beautiful stone floors and designer light fixtures set this home apart. 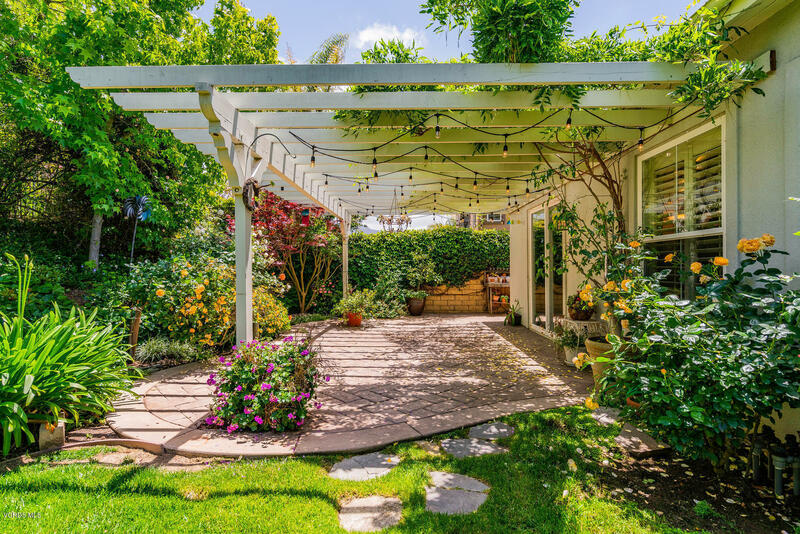 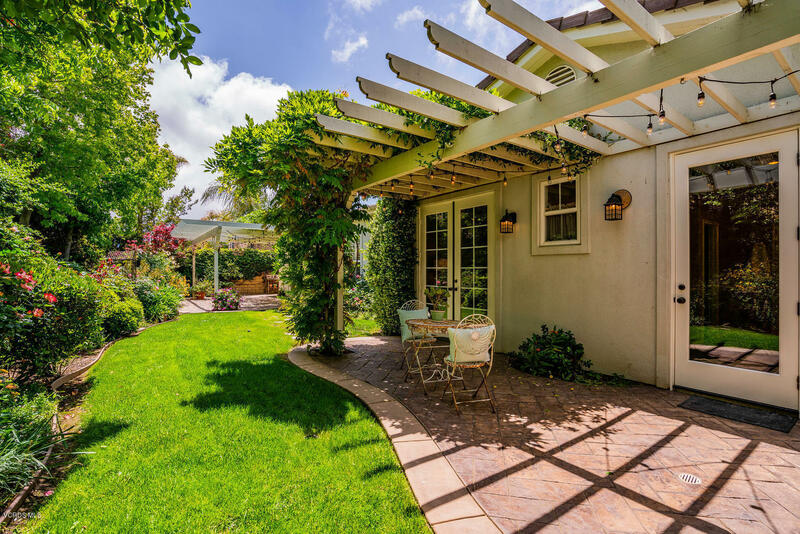 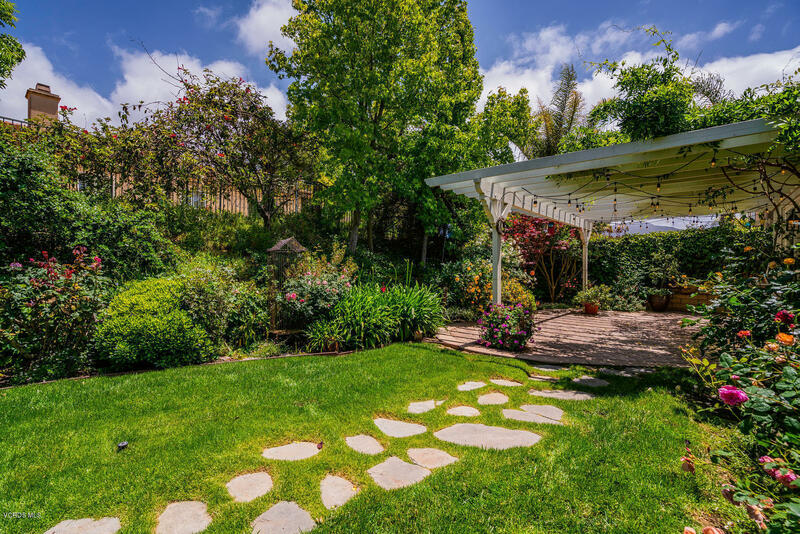 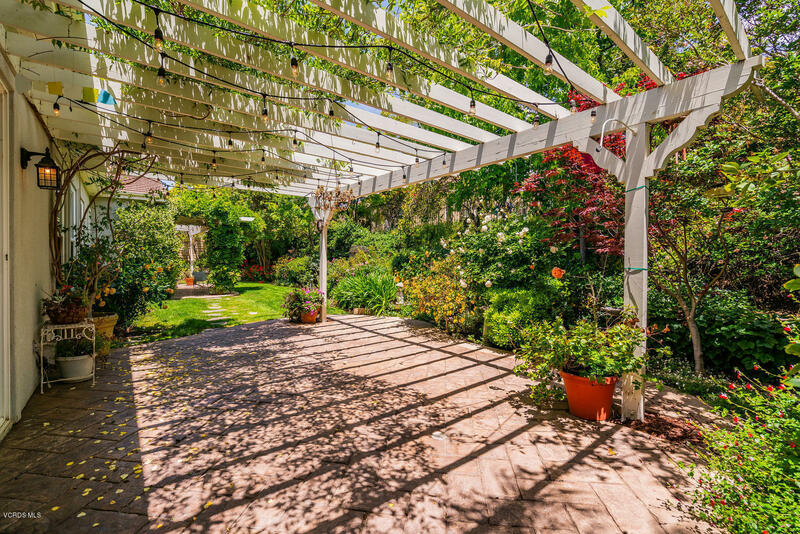 The home offers a lovely and peaceful rear patio and garden that is just beginning to bloom for Spring. 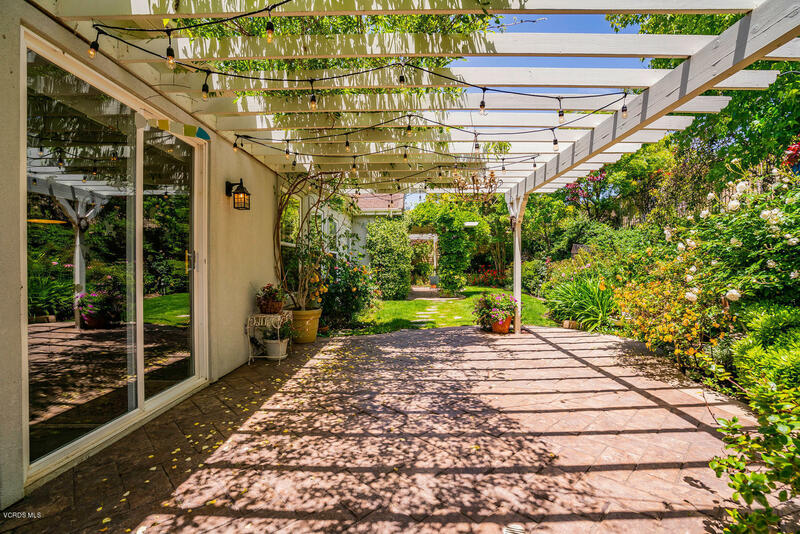 The pergolas are adorned with strung lights and wisteria that create an enchanting space to entertain. 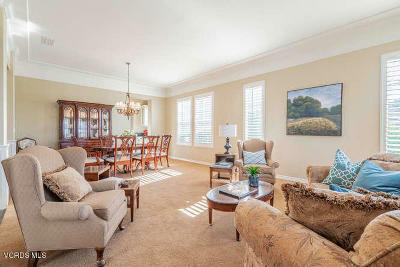 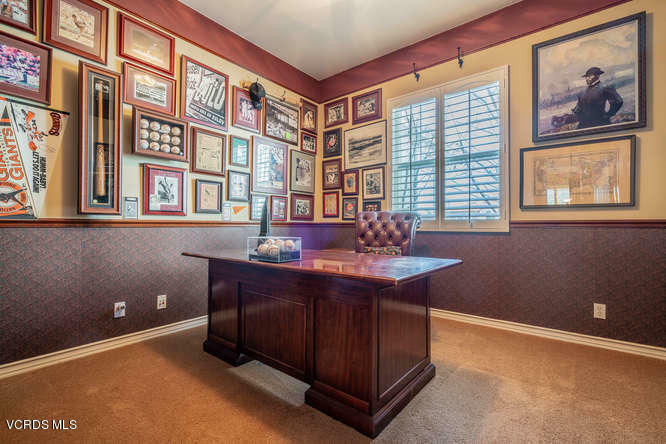 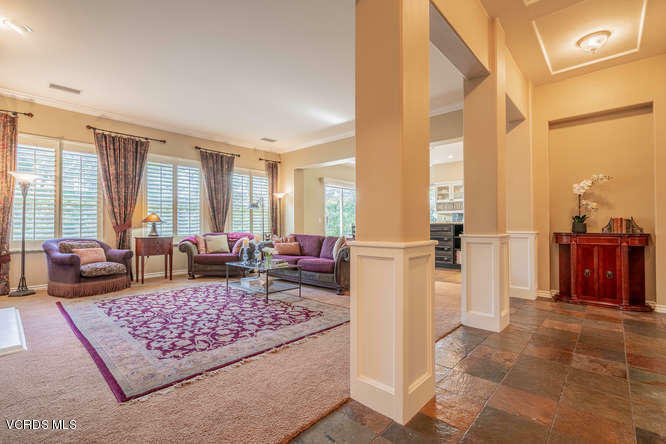 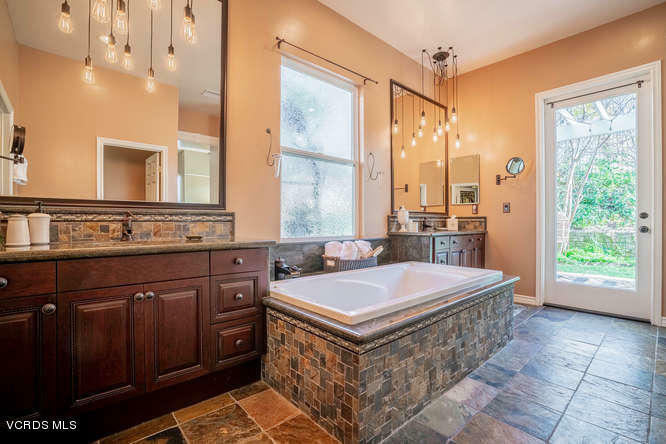 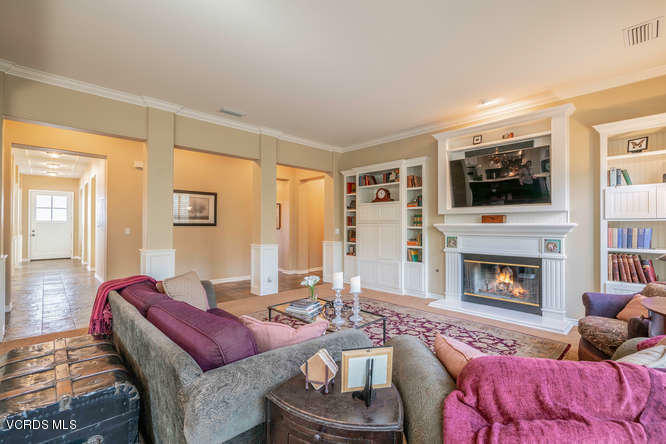 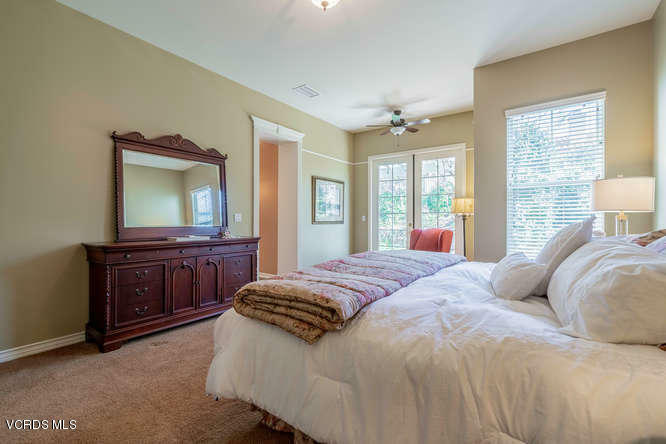 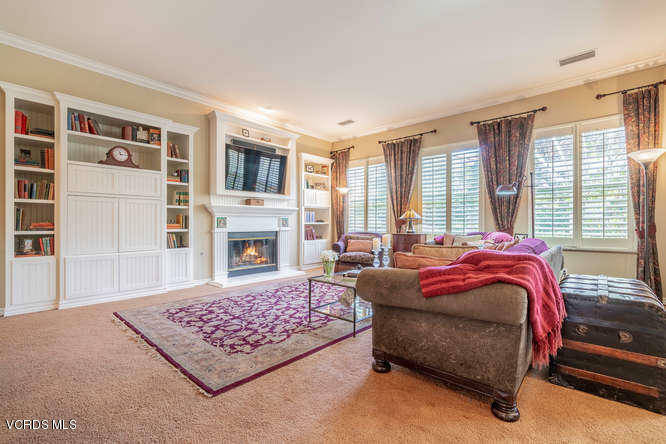 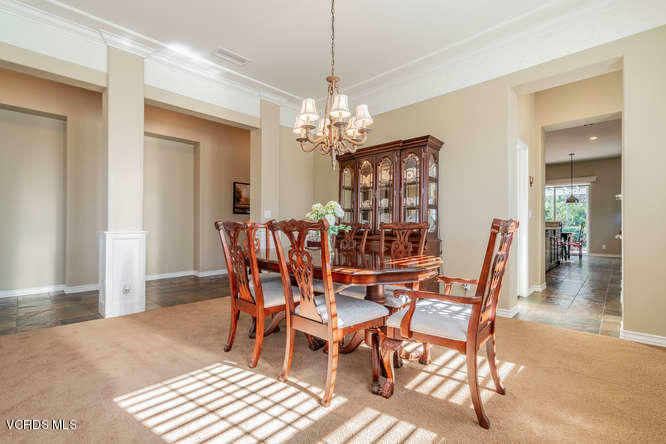 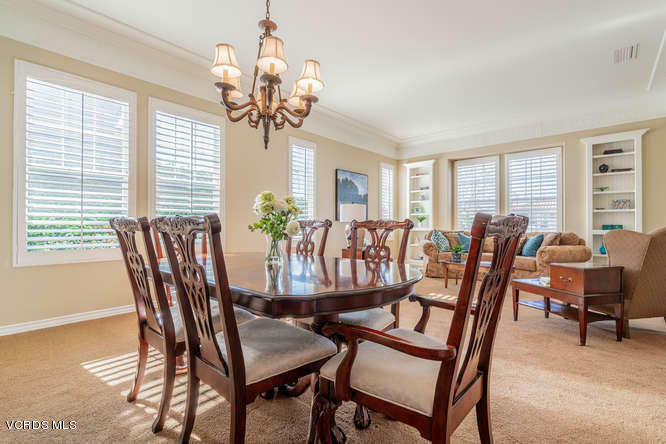 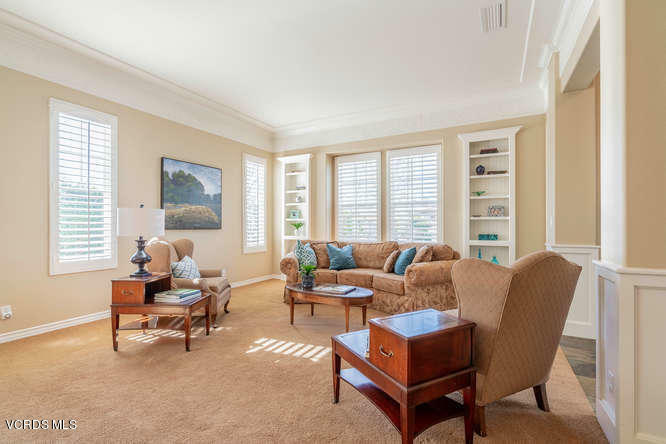 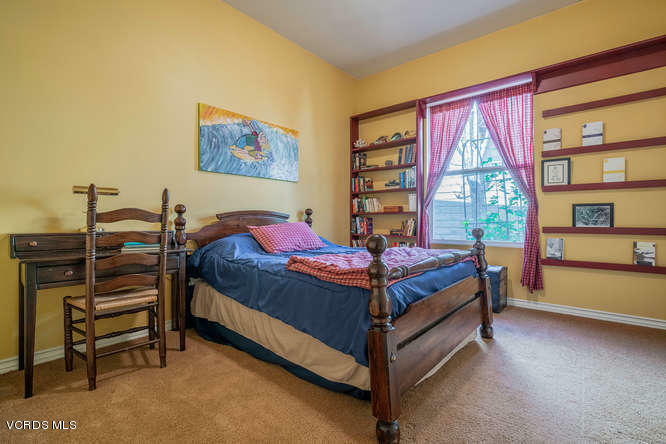 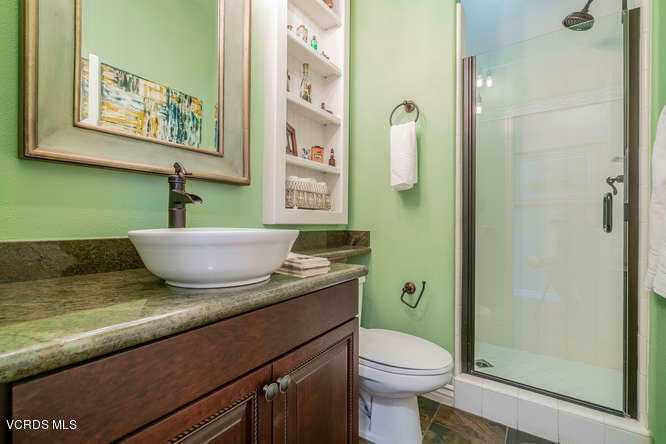 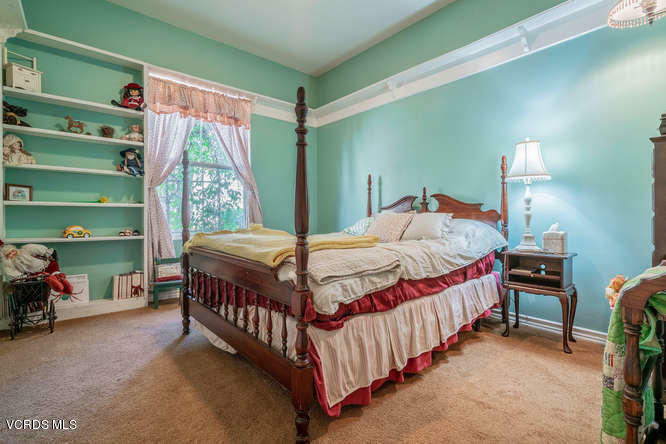 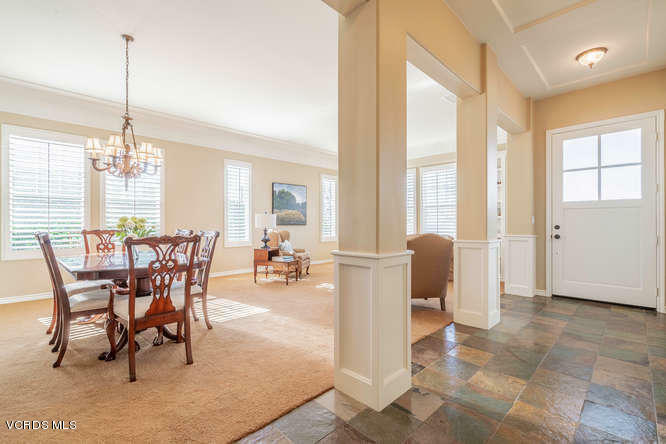 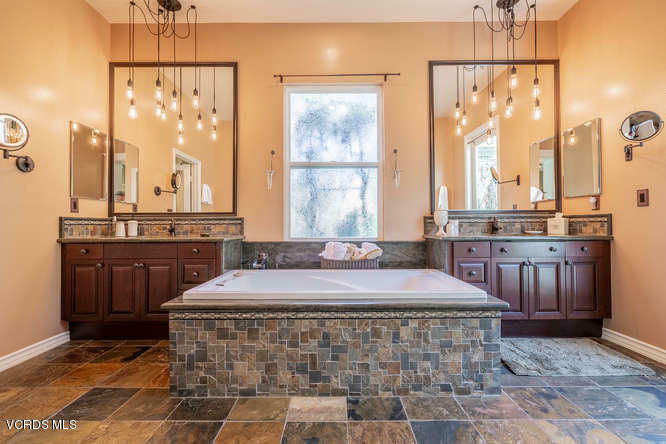 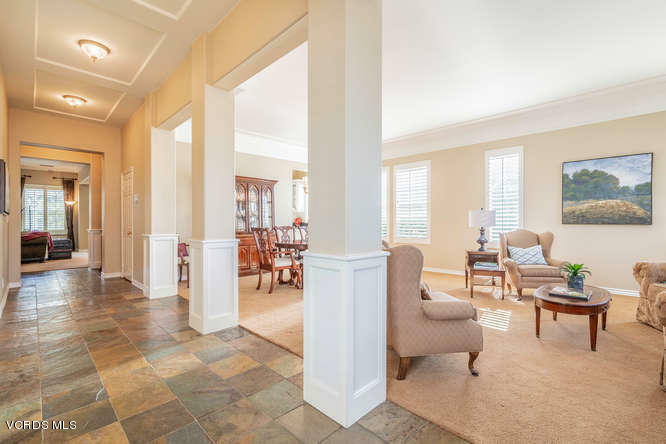 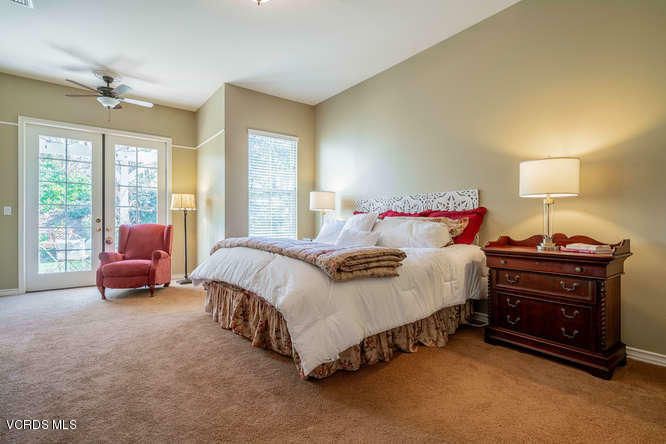 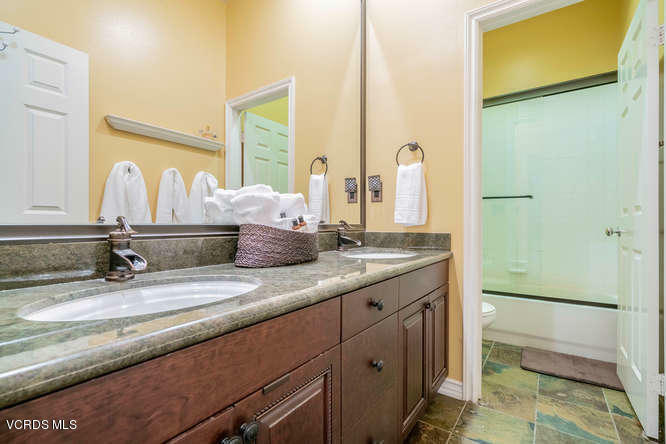 Upgrades include a remodeled spa-like master bath and beautiful handcrafted built-ins in the family room and one bedroom, now a functional office. The home's setting is quiet, away from traffic, and sited on a cul-de-sac. 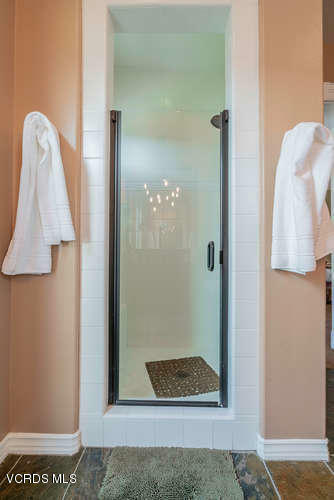 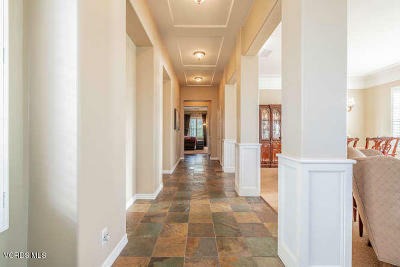 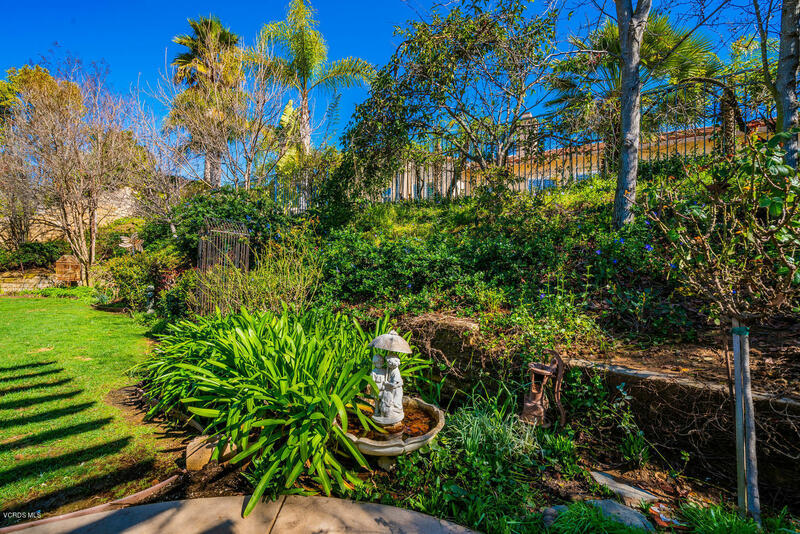 Just outside the private, gated community sits a marvelous park and Boney Mountain hiking trails.